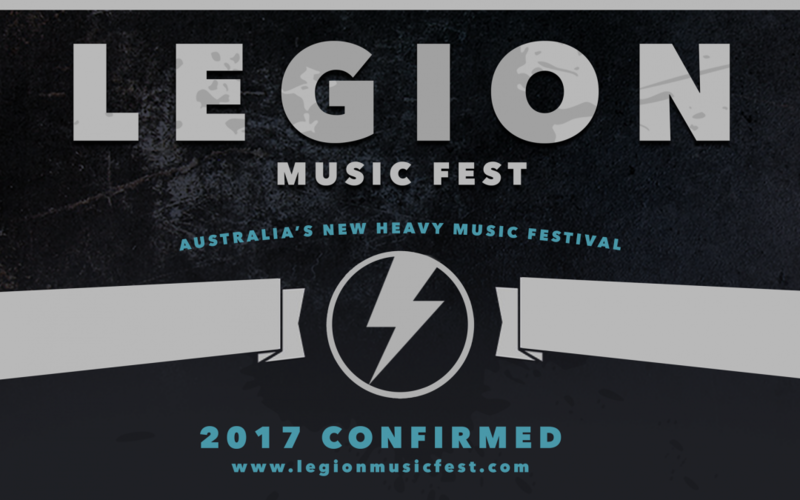 Legion Music Fest organisers have announced that the heavy music festival that has been in the works since December, is now fully funded and confirmed to go ahead as planned in 2017. Having originally planned to crowd fund the festival through a Pozible campaign, organisers have now stated that they will no longer accept pledges and that the campaign will be brought to a close. The Legion founders have raised the private funding required to establish the event in 2017. Legion founder, John Sankey, has stated that it was the support that was generated through the crowd funding concept that made the festival confirmation possible. “Given that it took longer than anticipated to lock in a headline act, along with a number of other external forces going on in the industry at the moment, we realized that, even though these issues made it very difficult for us to reach our goal in time, the campaign support had given us all the leverage necessary to move forward and fund and confirm the festival”, said Sankey. Organisers will announce ticket prices and on sale dates shortly and have also mentioned that anyone that has pledged their support as a part of the Pozible campaign will be heavily rewarded as founding members. Headline artist and additional artist announcement are planned to be announced shortly. Sankey will remain key spokesperson for the festival and has reiterated that the original ethic of the festival will remain. ]“As the founders of this festival, myself, Mark Spillane and Kristie Lawrence are committed to ensuring that we stick to our promise of creating something truly special and unique for the fans and we promise that we will continue to be completely honest and transparent throughout the planning process” said Sankey. Lineups? Show us a line up before you expect us to buy tickets. That’s one spot where AJ fucked up last year…..drop feeding lineups and expecting people to buy tickets without knowing who was even there.